Art is one way that girls express themselves in the Global GLOW program. 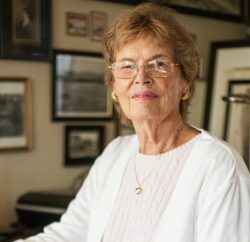 One Laguna woman’s art- and literacy-based Global GLOW program helps girls in Santa Ana and around the world. 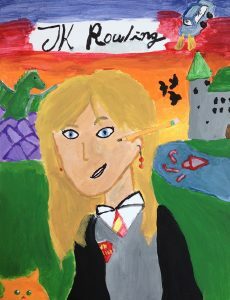 With each stroke of the pen or paintbrush, girls at the Global GLOW after-school program discover pieces of themselves, expressing emotions and personality through poetry, drawing, painting, taking photos or making collages. These projects provide a creative outlet for teen and pre-teen girls, giving shape to their hopes and dreams and helping them cope with difficult experiences like bullying, all under the guidance of college-aged female mentors. Then by sharing their work, the girls gain confidence and, over time, develop a more defined sense of self. Kylie Schuyler at the HerStory Summit. Global GLOW (Girls Leading Our World), founded in 2011 by Laguna Beach resident Kylie Schuyler, began in Santa Ana and has since spread across the U.S.—from Detroit to a Native American reservation in Nebraska—and to other countries through a partnership with New York-based nonprofit LitWorld. 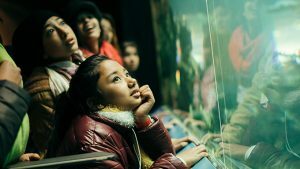 This joint literacy-based effort is called The HerStory Initiative—launched in March with a presentation to the United Nations’ Commission on the Status of Women in New York—and encourages girls to tell their stories, which serve as a call-to-action in the push for gender equity around the globe. Schuyler, who has a Ph.D. in psychology, started the program after returning from a seven-year residence in Japan when her husband was stationed in Tokyo for his job with investment management firm PIMCO. While there, Schuyler volunteered with an organization that builds schools in Cambodia. As each new school opened, Schuyler and others noticed that only boys were enrolling because, it turned out, families were keeping the girls home to cook and clean or help in the fields. To remedy this, the community service workers tried paying parents $10 per month if their daughter attended school—and the incentive proved successful. From there, the group started bringing in young women who had just graduated from college in the capital city of Phnom Penh to serve as mentors and role models for the girls in these rural areas. The GLOW House is a renovated home near the El Sol Science and Arts Academy of Santa Ana. Then, in 2009, her husband was transferred back to California and Schuyler began considering what her next project might be. “At that time, I just thought, ‘I’m at this stage in my life where I want to make sure what I’m doing every day is making a difference and a contribution to the world,’ ” Schuyler says. “And my experience with girls and girls’ education in Cambodia really informed my decision about how I wanted to do that.” For her next step, Schuyler looked to the neighboring city of Santa Ana. 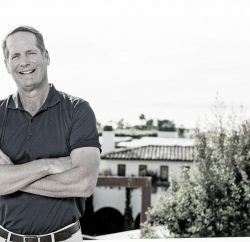 In Santa Ana, the crime rate is high and only 54 percent of residents age 25 and older have a high school diploma; Schuyler is trying to make a difference with the Global GLOW program for grades 5-12. 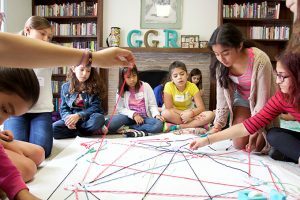 Younger girls come to the GLOW House, a renovated home across the street from El Sol Science and Arts Academy of Santa Ana. For older teens, the program comes to them at Nova Academy Early College High School. 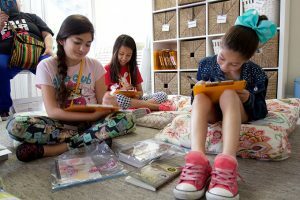 In recent years, the organization has expanded to include two more schools in Santa Ana and partnerships with Bowers Kidseum and the nonprofit KidWorks. 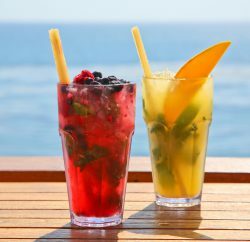 Plans are also in the works for Global GLOW girls to take a field trip to Laguna Art Museum this summer, and possibly a continued connection with the museum beyond that. But the heart of the local program is at the GLOW House. Cheery and inviting inside, there are colorful paintings on the walls, comfy floor cushions and shelves stacked with books as well as a courtyard patio with a vegetable garden and a studio art room stocked with all manner of art supplies. Every afternoon, a different age group comes to the house. First, it’s snack time (with food provided by Second Harvest Food Bank of Orange County), then they gather in a large room for the welcome session: Seated on the floor in a circle, the girls take turns answering the day’s question, such as “What song describes how you’re feeling today?” Then they break into smaller groups with their mentor—who is a paid staff member rather than a volunteer—for activities such as reading and discussing a poem or short story, doing an art project or writing in a journal. During this time, the girls are also invited to talk about anything that’s troubling them, in a confidential environment with support from their mentor and peers. The HerStory Initiative encourages young girls to share their stories. Beyond Orange County, Global GLOW extends to more than 20 countries—from India to Kenya, Colombia, Haiti and more—through a partnership with nonprofit LitWorld. 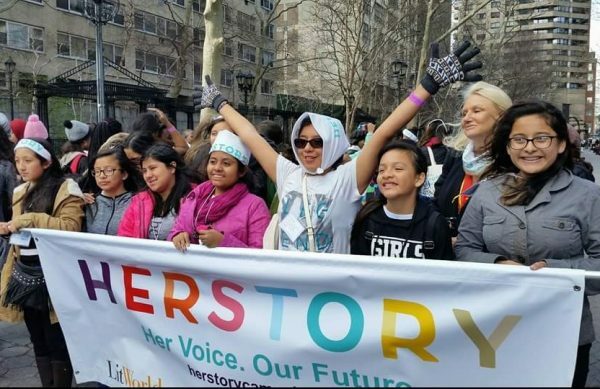 Working together, these two groups uplift thousands of girls with The HerStory Initiative, which had operated under a different name since May 2014. Structured as a reading-and-writing-focused, after-school LitClub with female mentors, the transformative program teaches girls how to talk about both their struggles and accomplishments through storytelling. Working with grassroots groups already in a community, the program is tailored to meet the unique needs of girls in each region. In the past year, HerStory also has gone into post-crisis countries like Sierra Leone after the ebola outbreak that began in March 2014; Nepal, after the magnitude-7.8 earthquake in April 2015; and Jordan, with its recent influx of Syrian refugees. Girls and women from 11 countries served by Global GLOW and LitWorld toured New York in March during a trip to a United Nations commission. Empowering girls to use their voice, to make themselves heard and call for change, Schuyler says, is key to raising them out of poverty and also helping third-world countries break the cycle as a whole. According to a UNESCO report, each additional year of schooling that a child receives has been found to raise the growth of a nation’s average annual gross domestic product—the total value of goods and services produced within a country—by 0.37 percent. 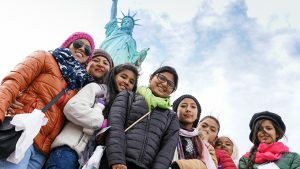 In March, Global GLOW and LitWorld brought more than 100 girls and young women from 11 countries served by their programs to New York for the U.N.’s Commission on the Status of Women’s 60th session, a youth forum and inaugural Global HerStory Summit. Schuyler—along with LitWorld founder and Executive Director Pam Allyn and some of the girls from Santa Ana, Detroit and other countries—made a presentation to the U.N. commission, and youth forum participants drafted a list of 99 recommendations for the commission related to gender equality and human rights of young women and girls. Reekita, of Global GLOW partner Rukmini Foundation of Nepal, in New York. “We’re hoping to create the conversation, the discourse that will then solve or help with that challenge—and there are so many,” Schuyler says. “First of all, just to empower the girl to tell her story. And then to have active listening to that story. And then, hopefully, … have that conversation be joined by people who will be able to respond. So there’s value in the telling, there’s value in the listening. My name is a very patient roar. I am a girl from the thoughts of those who have come before me. My mother is a woman who helped me break walls with my words. She teaches me to be graceful in spite of the flaws that I carry. I was born into a land where most girls are insecure. Where we feel lonesome, yet we smile. I am a great example of never giving up. But I am not great at finding the words I have to say. I would be a drum because, like the beating of my heart, it sings to me. If I were not afraid, I would be unstoppable. I’d really like to learn how to speak the way I write. One day the world will see me as I am.